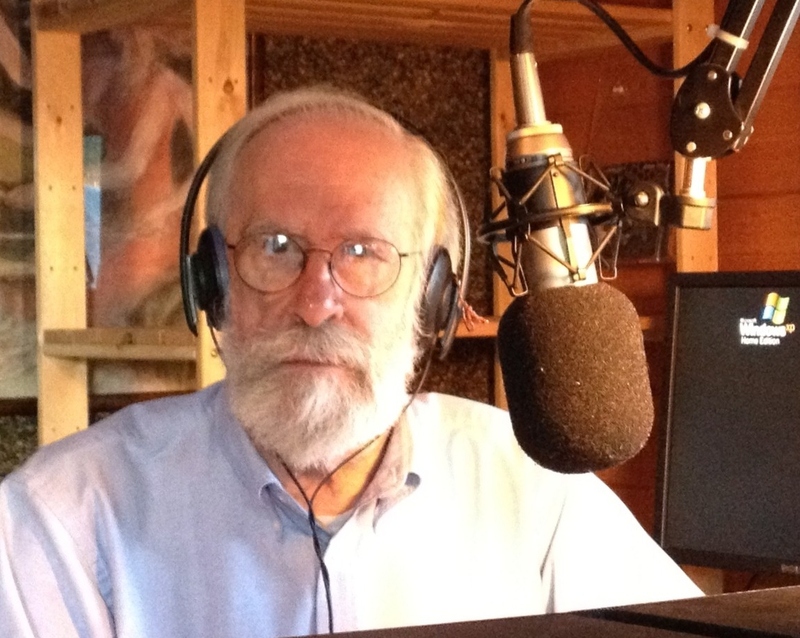 Bud Riley moved to this non-commercial, publicly supported, jazz and classical music station. As news and public affairs director, he turned to a more serious side of his personality. He oversaw production of two half-hour newscasts per day "News Journal", created new issues-related programmes including a weekly science programme (hosted by Jay Ingram) and two interview programmes, Sunday Journal and Conversation. Shortly after joining CJRT he entered the U of T graduate school and obtained a Masters Degree in Archaeology. 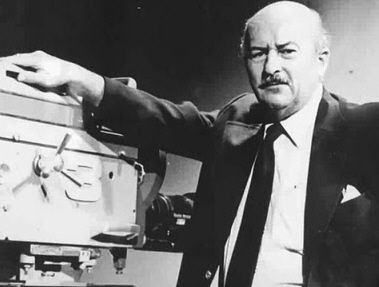 Notable accomplishments: When the CBC announced that the traditional broadcast of the BBC newscast was to be discontinued, Bud negotiated with CBC to re-direct the daily broadcast from London, England, to the CJRT studios and began airing the World News at 8:00 a.m. When Jay Ingram left to host the CBC science programme, Quirks and Quarks, Bud took over Science Journal but retained Jay's services for a once a month re-cap of recent science news. Bud created a popular weekly, 15-minute radio commentary with Ryerson professor Hugh Innis. It came to the attention of Rogers TV producer Don Adams who spun the feature into a TV programme. "Innis & Riley" aired every Friday night at 11 PM. On weekends, Bud hosted an hour-long pubic affairs programme, covering many topics and occasionally locally produced documentaries. The production was titled, "Sunday Journal." Weekday features of the public affairs programming were the service club broadcasts of The Empire Club of Canada and The Canadian Club, recorded at noon and broadcast at 7 pm. These were suspended during the summer leaving a gap in the CJRT schedule. To fill it and maintain the time slot, Bud created "Conversation", a half-hour programme on a variety of topics. Video and Audio clips from www.rockradioscrapbook.com and private collections of Doug Thompson, CHUM Archives, Charlie Ritenberg, Bud Riley, Westlyn Mather, Don Shuttleworth, Bill Dulmage and others. In his first few years at CJRT, Bud was spared the task participating in the several annual periods of begging for funds. When he was finally drafted for the chore, he tried his best to enjoy fundraising. .
On the same trip Bud traveled with the Israeli army into southern Lebanon visiting the once beautiful garden city of Sidon and beyond. Later, at the Israeli Parliament, the Knesset, the Canadian group selected Bud to interview former prime minister, Yitzhak Rabin, who would later be reelected P.M. and then be assassinated in office in 1995. The interview was conducted at the Knesset across a very large table which required fellow reporter Kim O'Hare to hold the microphone while Bud fired questions from eight feet away. 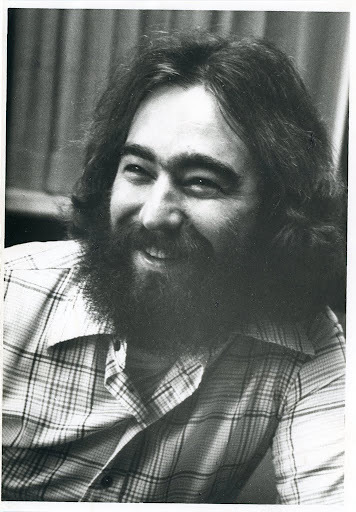 George MacNabb started working at CJRT-FM as a Ryerson student in 1968 filling in for the regular show hosts. Upon graduating in 1969, George joined the Ontario Motor League producing radio traffic reports. He freelanced his hosting talents to Global TV's "Altogether Now". 1974 found George in Victoria, B.C., where he produced A/Vs and shows for the Fort Rod Hill Historical Park including a film about lighthouses and their keepers. He returned to Toronto to freelance and was hired again by CJRT to do morning news. 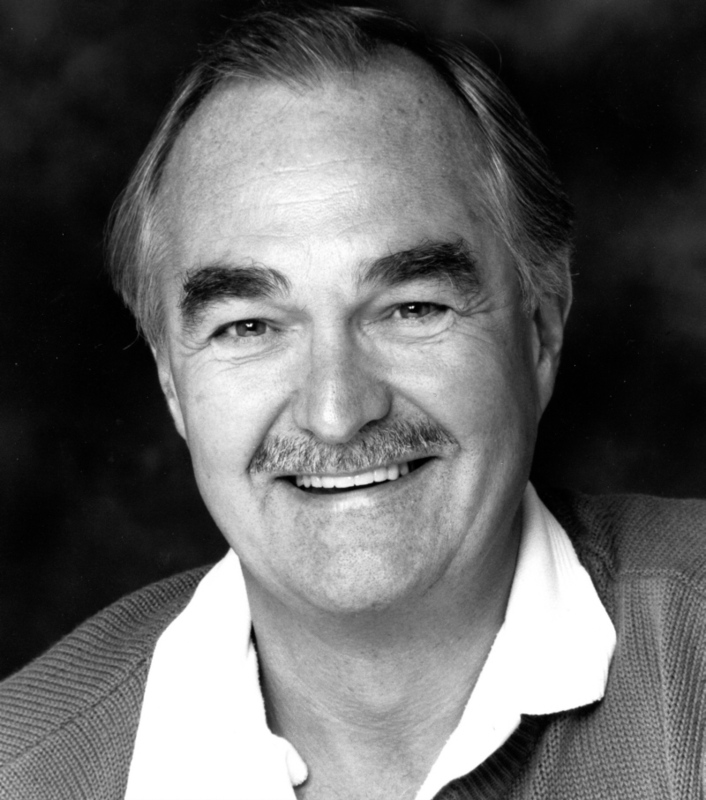 In 1976 he joined the CBC, reading news and announcing on shows like "Fresh Air" and "The Food Show". In 1982 the CBC moved George to Charlottetown, PEI, where he produced and hosted the afternoon show. In 1986, he was back in Toronto where he founded MacNabb Enterprises, creating seminars on public speaking and voice power techniques for corporate clients. He continued freelance assignments at CBC and took short acting jobs in films and TV shows. 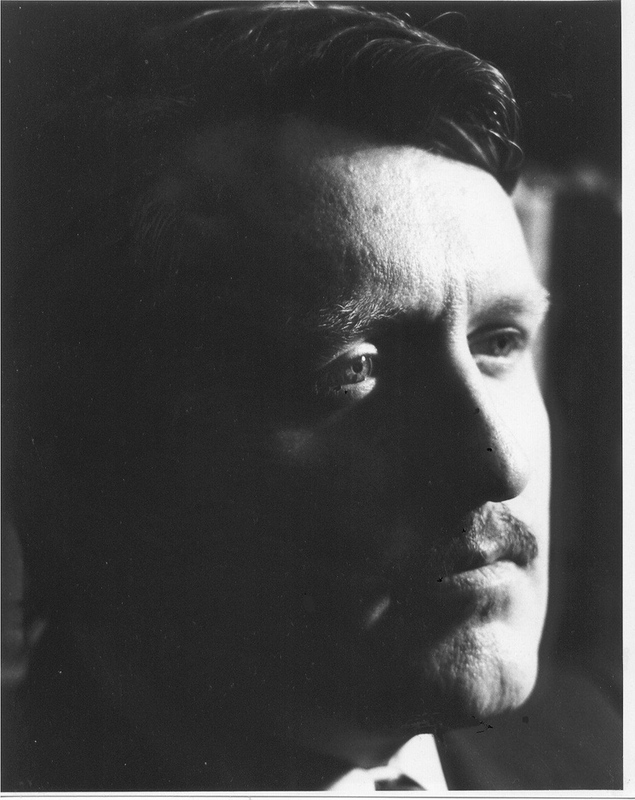 He also taught English at Seneca, Centennial and George Brown Colleges and Ryerson. He retired in 2010 and now lives in Picton, Ontario. Ted O'Reilly (not related to Bud though they share a last name and were born in the Niagara Penninsula) is considered North America's premier jazz expert. As a high schooler, Ted designed and constructed a deejay sound booth for bandleader Ron Metcalf's teen nightclub, "The Castle", in St. Catharines. Upon graduation from Ryerson he worked in commercial radio at CKKW in Kitchener and CHIC in Brampton before returning to the Ryerson campus for a job at CJRT-FM. For 37 years, he hosted The Jazz Scene six days a week and interviewed many jazz greats, among them were Oscar Peterson, Count Basie, Duke Ellington and Buddy Rich. Ted created "The Sound of Toronto", a series of live jazz concerts. Ted recorded many noted Canadian jazz performers such as Rob McConnell and Gene DiNovi at concerts and clubs. He even created his own record label, Unisson. In 2002, Ted left the station, renamed JAZZ-FM91, in a disagreement over the dilution of the jazz content. He then turned his attention to encouraging visitors to discover the wealth of jazz venues and activities in Toronto through a Tourism Toronto programme, "Toronto Jazz Live." In 2003 he was given an award for Lifetime Achievement by the National Jazz Awards. He is a three-time winner of the Canadian Music Council's National Award for Best Jazz Broadcast. Since his retirement, Ted co-created, with Pat LaCroix, a book titled Toronto Jazz Treasures, a photo album of well known jazz musicians with text by Ted. Joe Lewis, joined CJRT-FM part-time in 1965 to host a four-hour programme, "Folk Music and Folkways" which stayed on the air for 31 years. About the same time, he was a traffic reporter for the Ontario Motor League (1963-1968) providing traffic updates to the greater Toronto area from Brampton to Oshawa and north to Richmond Hill. In 1975 he became the communications director of the Ontario Arts Council and produced a 15-minute programme, "The Arts in Ontario" which, for three years, was syndicated to 29 radio stations. He then joined TVO, the provincial public television network, as communications director. A short time later Joe was hired to do public relations for the CBC in Toronto and came on board full-time at CJRT in 1980 as communications director. 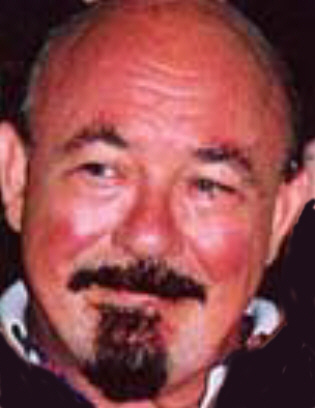 John Valenteyn was an Open College producer for many years. John's career in radio started at CFRC Kingston as a Queen's University engineering student. By 1970 he was host of his own blues programme. 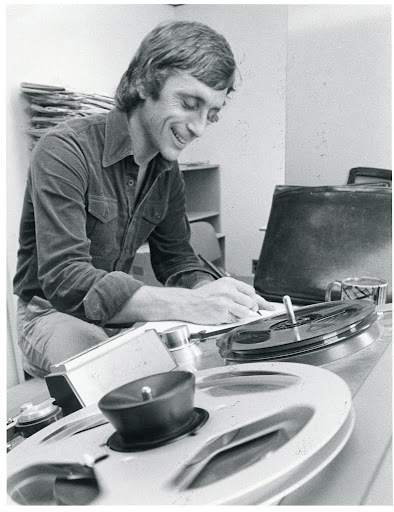 He switched over to Ryerson to study radio and TV and landed a full time job at CJRT in 1974 as an operator-technician and soon was producing shows. In 1984, he made a bid for his own blues programme and hosted his own Saturday afternoon show, "The Blues Hours," for 16 years. 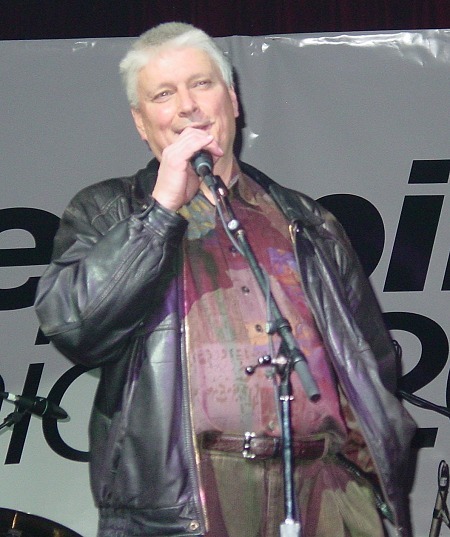 John co-founded the award-winning Toronto Blue Society, which was registered in 1985 in order to promote the Toronto blues scene. He’s been on the Blues Society’s board of directors ever since. He took a five year break from radio in 2003 but was lured back to the air 1n 2008 by CIUT in Toronto doing special ten minute blues segments on Let The Good Times Roll. He continued to produce a CD review column for Maple Blues Magazine, something he has been doing since the late 1990s. 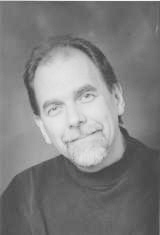 Kevin Courrier started at CJRT in the late 1970s as a weekly contributor to "On The Arts" doing film and theatre reviews. He became a film critic for the CBC in Toronto and wrote articles on pop culture and film for Box Office, Globe and Mail and the Toronto Star. Kevin wrote two critically acclaimed books, "Dangerous Kitchen: The Subversive World of Zappa" and Randy Newman's "American Dreams". After a long battle with cancer, Kevin died on Friday October 12, 2018. 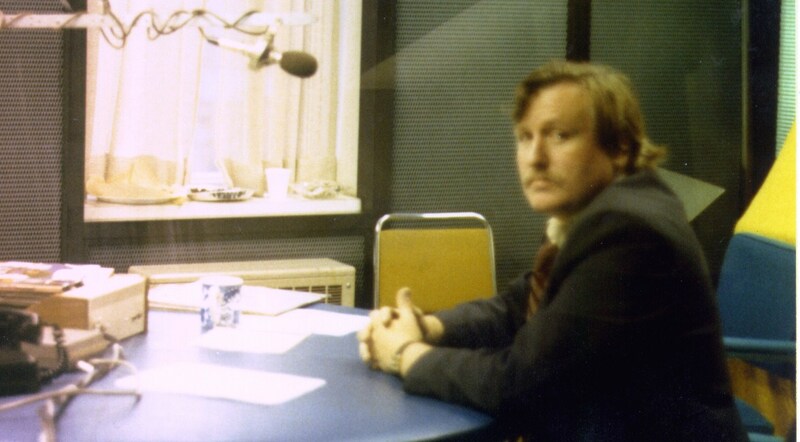 Bob Carr freelanced his Queen's Park based Newsroom-2 services to CJRT after a short fill-in stint as a temporary host of News Journal, a twice daily, half-hour newscast. It was Bob who suggested the station manager hire Bud Riley as a permanent host and news director. Other temporary news voices were David Prendergast who was also a part-time CKEY newsman, Tim Keele and Richard Scott who filled-in for Bud during summer vacations and other occasions. 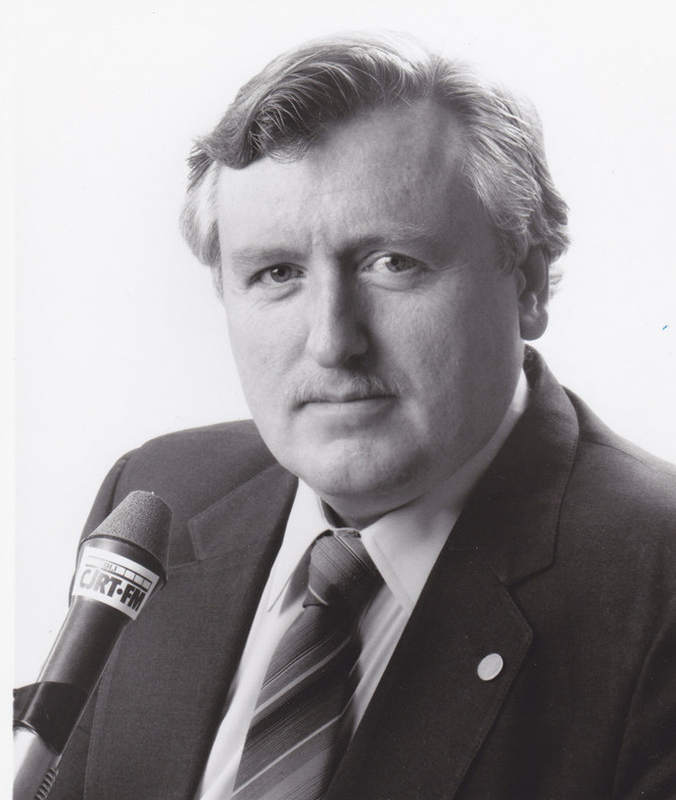 Art Cuthbert was the most experienced announcer on the CJRT staff when Bud arrived in 1974. He had already had a very wide ranging career. He was a newscaster at CHUM in the 1950s using the name Ron Knight, which caused a problem for the real Ron Knight who was forced to call himself Steve Hunter when CHUM hired him away from Ottawa. Art also worked with CBC-TV news in Toronto as the line-up editor. Later at CJRT, he hosted the morning show and "On The Arts". 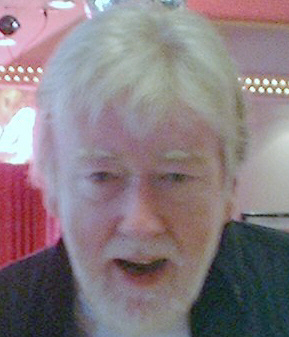 He left CJRT in a dispute with the management over his use of comedy cuts from the BBC radio's highly popular "Goon Show". He argued that the shows had already been aired as a series earlier on CJRT. When Art left, he landed a job with CBC radio as co-host of "Arts National" which ran from 1976 to 1987. Adriane Markow was CJRT's operations manager and on-air personality who hosted many of the classic music programmes. She started at the station as a Ryerson student in the early 1970s but her ability to organize elevated her to a management position. Her on-air work took full advantage of her classical music expertize until she left in 2001 when CJRT became an all jazz format as JAZZ-FM91. In May of 2010 Adriane performed as narrator for the Aradia Ensemble's presentation of Thunderbird, a fusion of Baroque and Aboriginal culture at the Glen Gould Theatre. 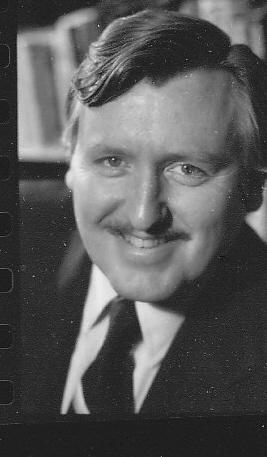 Earle Toppings became CJRT's programme director in 1985 after a short stint as a producer of CJRT'S Open College. Previous to this, he was an editor at The Ryerson Press, Ontario Institute for Studies in Education, and CBC Radio Drama. He was born in Regina, Saskatchewan, in 1931, and grew up near Kipling, attending a one-room country school house. After high school in Kipling, Vancouver and Surrey, B.C., he attained a B.A. at the University of British Columbia, and then graduated from Lorne Greene Academy of Radio Arts in Toronto. Earle worked as a newscaster, producer and program director at CBC and other radio stations, and taught in Radio and Television Arts at Ryerson University. He was producer and interviewer for Canadian Writers on Tape and Canadian Poets on Tape. Today, Earle is an art adviser with his own company, "Toppings Art". Cam Finley, CJRT-FM manager. After graduating from Ryerson in 1963, Cam worked as an announcer at CKLY Lindsay and CJBQ in Belleville before signing on at CJRT in 1965. He became manager in 1973. In 1996 government support for CJRT-FM was discontinued by Premier Mike Harris, forcing the station to restructure into a self-sustaining public broadcaster. Shortly after Cam retired in 1998, CJRT underwent major changes. In 2001 the station switched to a 24-hour jazz format under the name JAZZ.FM91. Today, Cam lives with his wife, former employee Jane Crabtree, in the Lindsay, Ont., area. 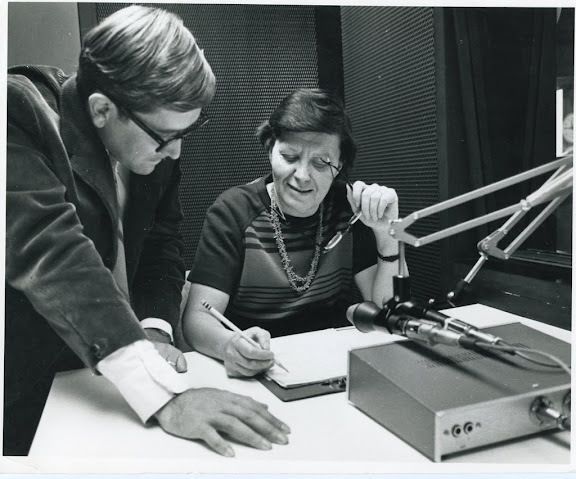 Margaret Norquay was recruited in 1970 by the Ryerson Dean of Arts, Eric Wright, to produce a sociology radio course on CJRT. She had early radio experience from working with CBC's National Farm Radio Forum and as a writer/researcher for the CBCs "Take 30" from 1967 to 1971. That was the beginning of Open College. She combined the running of Open College with her job as programme director, a position she held until 1985 when she was replaced by Earle Toppings. 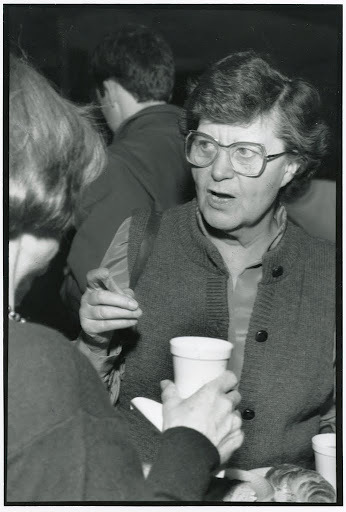 When Norquay left CJRT to become a Ryerson consultant in 1985, Open College was handed over to successor May Maskow, who had previously produced a course. Margaret Norquay died on Jan 11, 2014. Joan Barberis produced many of the courses offered by Open College. She produced Biology and Twentieth Century Man, the course taught by Jay Ingram and Janice Etter. She was also the producer for Jay's ecology course which he taught with Beth Savan. As a student run radio station CJRT-FM suffered early criticism as described in this Oct 3, 1956, article in the student published Ryersonian newspaper. 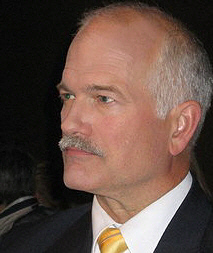 Jack Layton was a political science teacher at Ryerson when he began co-hosting with Myer Semiaticki, a political course for CJRT's Open College. While the course was being developed, Bud Riley recruited him for his daily "News Journal" to comment on current events in Canadian politics. When the course was completed and aired, Jack obtained his doctorate and moved directly into politics by being elected to Toronto City Council. He was elected president of the Federation of Canadian Municipalities. In January 2003 he was elected leader of the federal New Democratic Party. In 2010, he lead the NDP in a victory over Bloc candidates in Quebec and established himself as leader of the official opposition in the Canadian Parliament. Jack died of cancer on August 22, 2011. Hugh Innis, professor of economics at Ryerson and director of curriculum for continuing education. 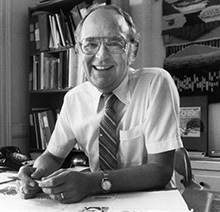 Hugh, the son of the famed Canadian economics historian and intellectual, Harold Adams Innis, was himself an insightful, down-to-earth academic. At CJRT, he provided Bud with a weekly commentary. In 1984 TV producer Don Adams brought the discussion show to TV where it ran successfully for many years each Friday night at 11pm. Today, Hugh is semi retired and teaches a culture and media course at Ryerson University. Bonnie Gross was a major contributor to CJRT news. She is a noted Toronto speech therapist who established the first speech therapy clinic at Scarborough General Hospital. Bonnie produced reports and interviews for Sunday Journal and the daily News Journal. In 1990 she created Counterpart Productions to produce and perform on her own syndicated TV show, "Second Chance," "Giving Voice" and "Ethnicity" which aired on CHCH-TV, Vision TV and Rogers Cable. Today, she oveersees a computerized speech lab, SpeechScience International, which analyzes clients'speech and voice patterns and produces training courses on CD combined with private coaching. CJRT operators were an essential element in the daily running of the station as many hours of programming were voice-tracked.CJRT hired many Ryerson RTA students as paid operators. The 1979 staff list includes Wayne Ricketts, Tom Dinsmore, Laura Somerville, Vera Maidan and Keith Potts. Notable among them was Keith Potts who added to his daily routine as Bud Riley's production assistant, editing hours of science interviews for use on Bud's "Science Journal." ​​ ​​Peter Davies was a former British Army officer who contributed an alternate view of international news events with reports and interviews for "Sunday Journal" and the daily "News Journal." 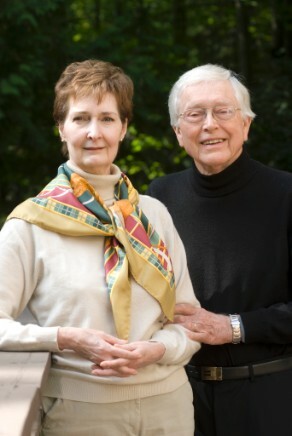 Robert Hollis was another regular contributor to News Journal specializing in health issues. Louis Hone was a recording specialist working as a producer in CJRT's Open College. When he left CJRT he returned to Quebec and became a noted sound engineer working on a variety of Canadian films, including one that was nominated for an Academy Award and winner of two Gemenies. His work includes: Strangers in Good Company 1990) Meet the Fockers (2004) After the Sunset (2004) Christmas with the Kranks and Secret Adventures of Jules Verne. 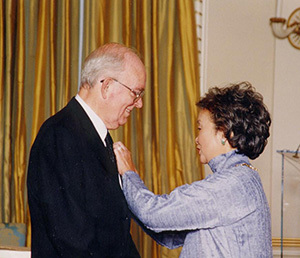 Louis directed several films for the National Film Board including a documentary on film composer Eldon Rathburn in 1995. 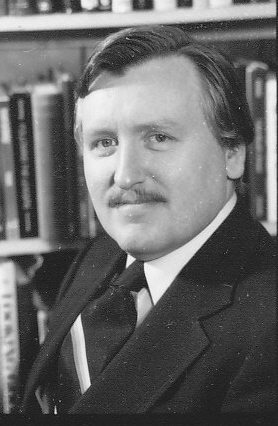 Gerald "Jerry" Vandezande was another major contributor to CJRT 's news and public affairs programmes. In 1969 he became the first executive secretary of the Christian Labour Association of Canada (CLAC).A social activist, he co-founded the Committee for Justice and Liberty (CJL), an organization which spawned Citizens for Public Justice. The orga nization focused much of its attention on defending minority rights in education and labour. 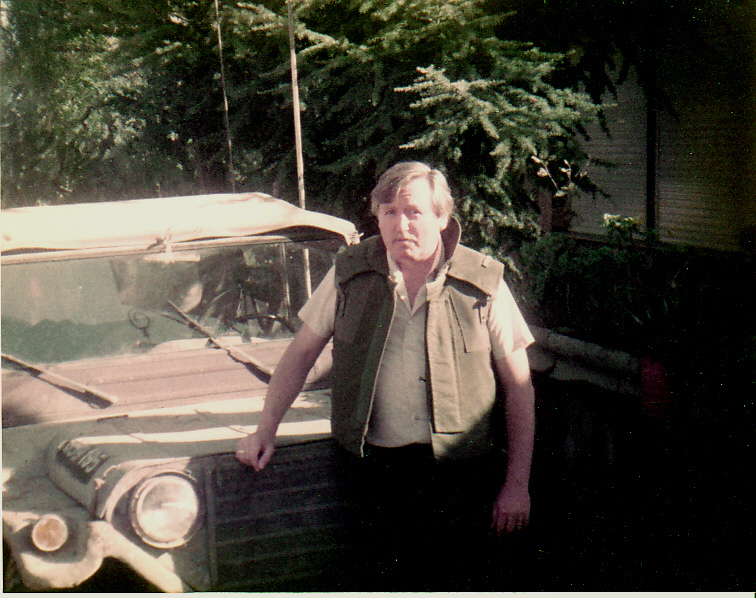 In 1975, Gerry and the CJL became involved in native issues after oil companies proposed an oil and gas pipeline through Aboriginal land in the Mackenzie Valley. Under the banner “No Pipeline Now,” Jerry and his colleague John Olthuis representing their own and other advocacy groups appeared before Justice Thomas Berger to ask for a moratorium be placed on the pipeline project. This led to the Mackenzie Valley Pipeline project being shelved. In 2001, Jerry authored a critically aclaimed book, "Justice, Not Just Us." For CJRT, Jerry brought the listeners lively conversations and in-depth interviews concerned with social justice. Born in the Netherlands, Jerry came to Canada in 1951 at the age of 17. Among the many honors he received during his career, he was awarded his adopted country's highest honor, the Order of Canada in 2001. Jerry died on July 16, 2011, in Toronto. Doug Beeforth was a young radio and TV student at Ryerson when he approached Bud Riley and asked if he could help in the CJRT newsroom. For the next year, he was an eager intern doing interviews, reports and tape editing. Also while a student, he approached Hockey Night In Canada with a documentary on the workings of the long-running sports programme. The producers were impressed and used some of his work on the broadcast. That was the start of Doug's long career as a sports announcer and executive. After graduating, he joined CFRB as a sports broadcaster for two years. From there, he joined his friends at Hockey Night in Canada as a producer. CTV soon came calling and kept him busy for 10 years. In June, 2000, after 10 years at CTV Sports, he was named VP and GM of Sportsnet, a network for which he helped obtain a licence. Later he was named the president. As President of Rogers Sportsnet, Doug was the recipient of a 2006 Sports Media Canada Lifetime Achievement Award. An Emmy and was nominated seven times for Geminis awards, winning twice. Beeforth has held senior production positions with numerous Canadian and international broadcasters. His credentials include two executive assignments for Olympic Host Broadcast coverage including Supervising Producer for Calgary ’88. 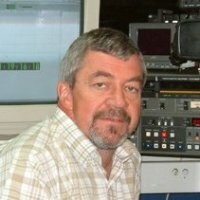 He is also noted for his contribution to Olympic coverage as Executive Producer of Lillehammer’s hockey coverage in 1994 in which he developed the “net cam”, a small remote controlled camera inside the goal which is now standard for most hockey broadcasts around the world. On Dec. 21, 2010, Doug announced he was stepping down from his position as President of Rogers Sportsnet. Notable support staff were Pam Slater, Danielle Kukavica, Alina Gildiner, Kim Thomas, Liz Ferris, Biata Crohn, Jane Crabtree, Susan Pax, Gayle Forler, Susan Fraser, Debbie Kennedy, Frances Campbell, and Pamela Bertrand. Andy Kufluk was CJRT's first engineer who set up the FM station in 1948 as part of the Radio and Television Arts programme at Ryerson Polytechnical Institute. Andy taught basic engineering principles to many thousands of radio and television students for four decades before retiring. Today, the Rogers Communication Centre maintains an equipment facility bearing his name. Andy's son, the late Peter Keigh, hosted the CJRT morning programme for three decades from 1971 to 2001. .
Wayne Detcher was the engineer through the early 70s but was replaced by Ed Pecolt in the mid 70s. After a few years, he left and Karl Poling took over. Karl, a technical wizard, once worked for the McCurdy Co., producing main boards for radio and TV stations and independent recording studios. Karl opened his own electronics company before coming to CJRT as chief engineer. Wayne Jolly was his assistant for a short time. Karl was able to fabricate slick and professional looking cases for the electronic devices he created for the station. Karl and his son Peter built new, ultra modern state-of-the-art main boards for the control rooms; the first one was installed in Ted O'Reilly's jazz studio. In the late 70s and 80s, Bud often commissioned David to produce publicity portraits. 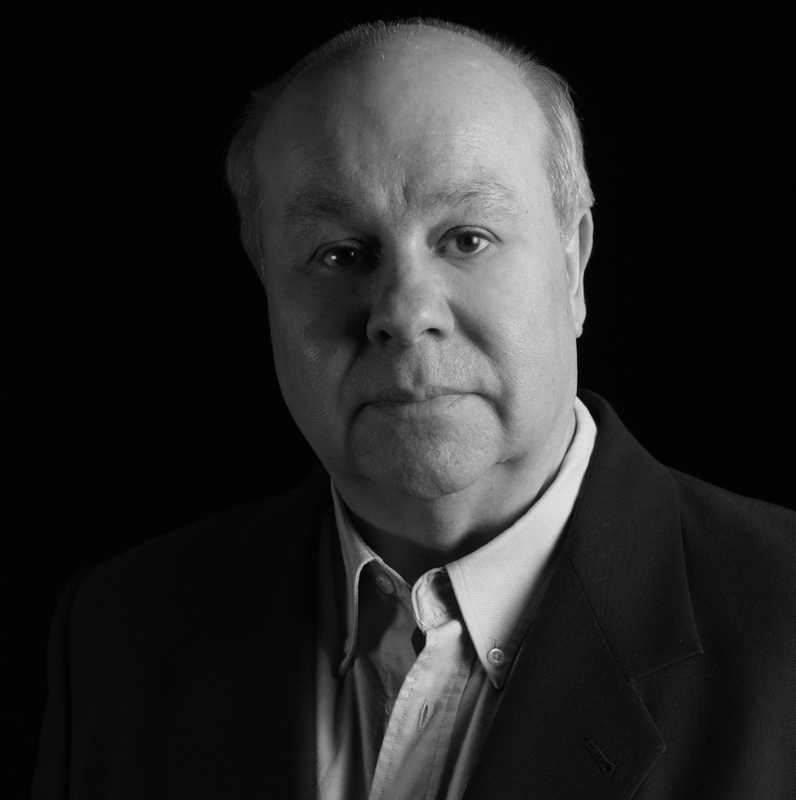 Earl interviews famed Canadian newspaper reporter and author Greg Clark. David Collins interviewing author Ken McPherson on his book In Memory of Ships and Their Crews. Joe Lewis was co-host of the Stan Rogers Tribute in Toronto, which aired on CJRT shortly after the folk singer died tragically in an airliner accident on June 2, 1983. 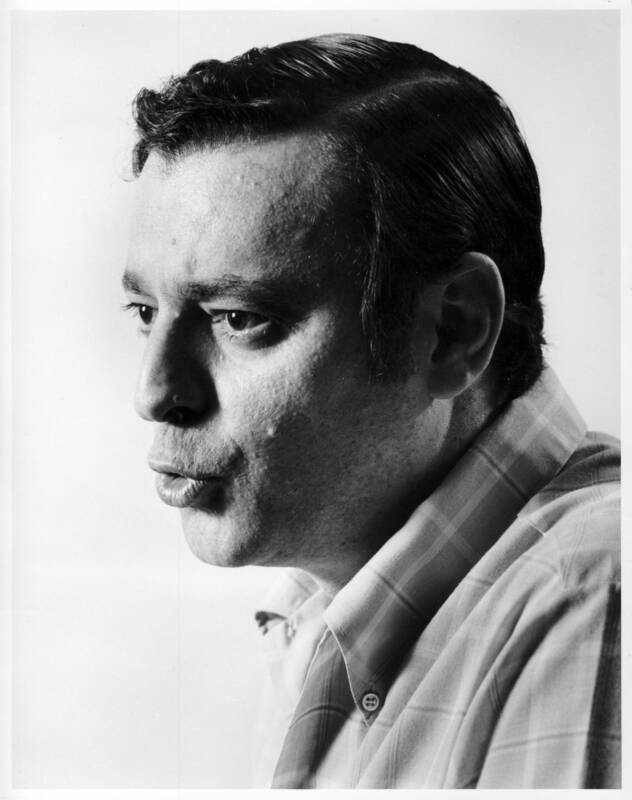 Richard Moses was an announcer/producer of the classical Concert in Stereo from 1975 to December of 1987 at CJRT. He was also Chief Librarian at Oakville, Ontario. In 1987 he left Toronto for Edmonton’s CKUA-AM-FM as an announcer/producer. 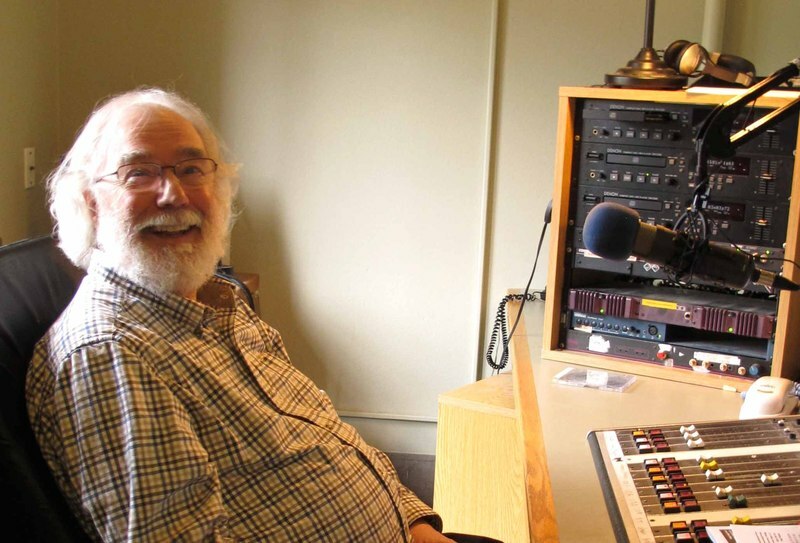 He stayed with the Alberta public radio station until 1996 when he retired to Salt Spring Island, B.C. In 2002, he wrote a book, "By Degrees", a non-fiction account based his extensive travel journals. In Salt Spring he co-founded CFSI-FM radio in 1990 and where he introduced the classics on "Music For A While". The station was subsequently sold and shortly after the CRTC revoked the CFSI license in May 2015. Roderick Stewart collaborated on several projects for Bud's Sunday Journal programme, including a radio documentary about famed Canadian surgeon Norman Bethune. Rod began his career as a teacher at the prestigious University of Toronto School. Later, he taught for the Scarborough public school system. Restless, he accepted an English teaching post at the Sichuan Language Institute in Chungking, China. On his returned, he was disillusioned with the school system and shortly took a two year teaching assignment in Harbin in northern China. On his return to Toronto he began teaching for the Catholic school board at the all-girl school, Loretto Abbey Secondary. 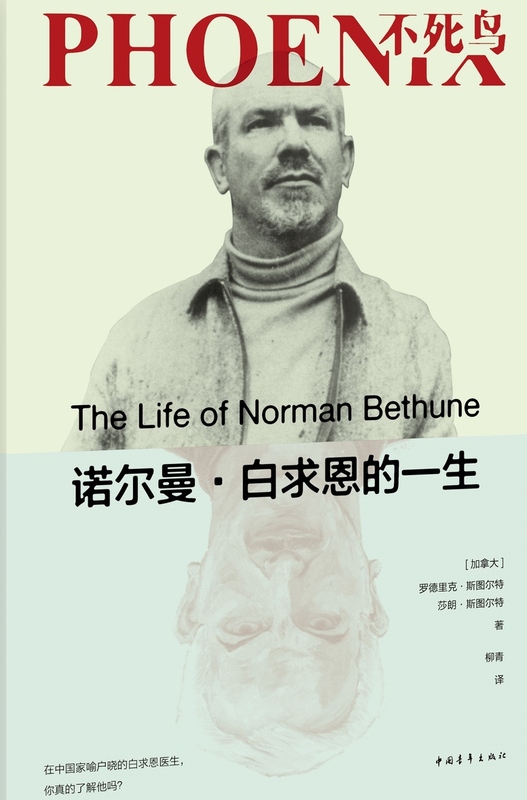 Rod is a respected history writer, the author of several books on Norman Bethune including The Mind of Norman Bethune" and "Phoenix" co-authored recently with his wife Sharon, a well known writer and editor. Rod died at 83 on March 8, 2018. See more on Sharon and Rod's writing career. Glen Woodcock has produced and hosted CJRT's big band show for many decades. Glen studied journalism at Ryerson Polytechnic Institute. He started his career at the Toronto Telegram which folded in the early 70s and evolved into the Toronto Sun. Glen became the tabloid's automotive columnist in 1976. He left in 1979 to raise horses but returned in 1984 as associate editor.He retired in 2006 but continues his five-hour a week big band show on CJRT-FM. He continues to write about autos and has produced Canadian Jazz recordings on his own Cowtown label. David's report on the Nurse's Fair for CJRT-FM. 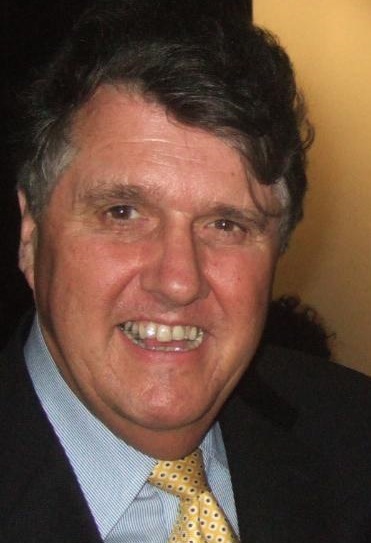 David Collins, a British-born travel writer, was a major contributor to CJRT's Public Affairs programming. 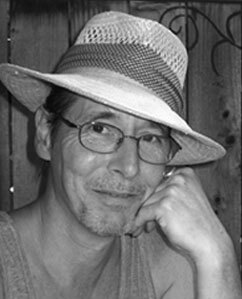 His writing credits include a series of Canadian Jackdaw publications produced by Clarke Irwin, specifically the package devoted to the development of air flight, "Wings of Progress" and the Canadian gold rush, "Gold In The Cariboo." He also wrote a book on the history of Imperial Oil. ​He was disappointed when the oil company public relations department stripped the book of an important chapter on the role the oil tankers took in WWII and their sacrifice---many were sunk in the effort to supply Britain with much needed fuel. The Israeli security forces in Jerusalem, insisted on producing their own ID and travel documents for the Canadian journalist's trip up to southern Lebanon where they were accompanied by a large contingent of the Israeli Army. 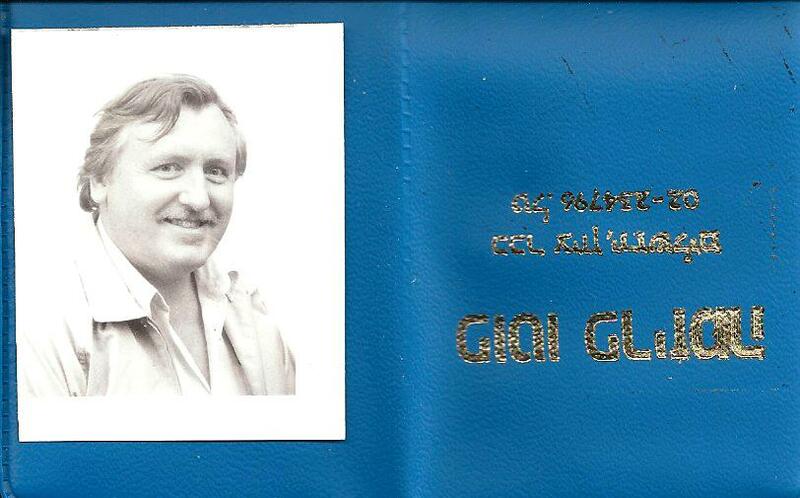 Hear David Collins report on British Rail on "Conversation"
Cynthia Dann-Beardsley was the producer of the opera programme on CJRT-FM in the late 70's and 1980s. Since then she has served as a judge for the Juno Awards, a director of the Board of the Jeunesses Musicales du Canada (Toronto branch) and the North Toronto Skating Club. Ms. Dann-Beardsley has also served as the chair for the Toronto Coalition for Music Education and is now an executive member of the Toronto District Music Coalition. Cynthia is also involved in ESL training. She is the former Mrs. Jay Ingram. Adriane pursues a freelance career since leaving CJRT. 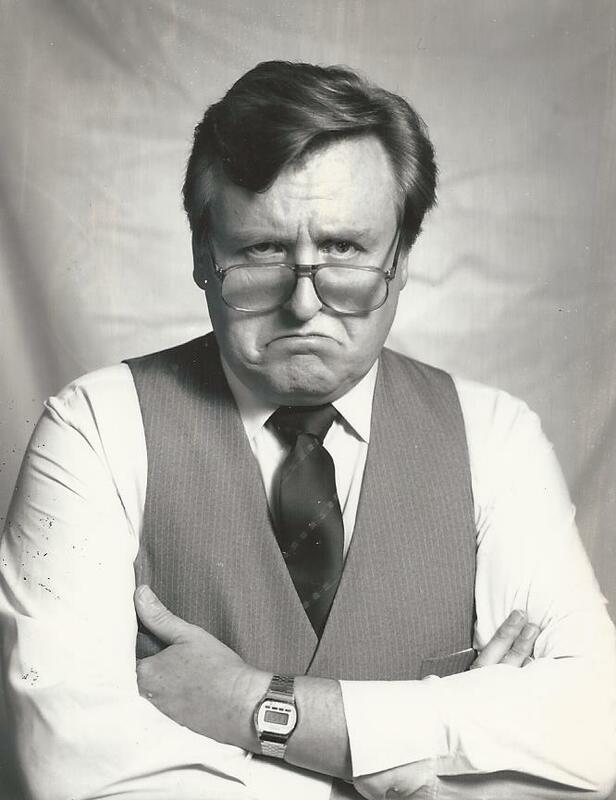 Richard Scott was hired by Bud Riley to fill in news shifts at CJRT in the early 80s. He had one of the best radio news voices in the country. Bud had admired the voice and the authoritative reading when he first heard it on CKEY in 1957 while he was a student at Ryerson. Scott didn't stay in Toronto for long. He was at CKY Winnipeg a bit later in the 50s pulling an afternoon shift. Then he was off to Vancouver's CKWX in 1960. After a short stay at CJGX Yorkton, Sask., he turned up at CKXL Calgary in 1964 and 1965. In 1969 he was back in Toronto for a four year stay at CHUM-AM. Later, while he was at CJRT filling in for Bud, Richard and his wife managed an apartment building in Toronto. 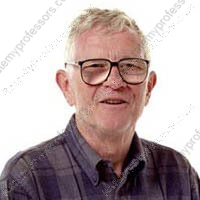 Dr. Michael Vaughan was a full-time professor of Economics at Ryerson in the early 1970's, while he was completing his PhD in International Trade Economics at the UofT. He did the initial design of the Open College economics course, while at the same time offering his consulting services to several business clients. Michael was a regular contributor to CBC's renown Saturday morning Food Show. He also was the wine and spirits columnist at the Financial Post, Toronto Life Magazine, the Financial Times and the Globe & Mail. In 1979 he launched a seafood retail/distribution business called Michael's Mussels - the first to bring Canada's cultivated shellfish from PEI directly to consumers in Ontario and Quebec. Michael's Mussels came to an end in 1998. From 1999 to 2008 he had a weekly wine and spirits column in National Post. Currently, he reviews every new vintage release and produces a bi-weekly newsletter on his website called Vintage Assessments, which is celebrating its 25th anniversary. Vintage Assessments. Hear Michael Vaughan taste-testing a new Canadian product, Cod in a Can, as part of this Bud Riley report for CBC's Food Show. Gary Graves offered his services to CJRT while studying at Ryerson. He was something of whiz on a portable Texas Instrument computer and put it to good use in tracking the office hockey pool. When he left 'RT, he found employment as a producer at CBC's internal report-sharing service, "Info-Tape".in the late 1980s Gary was Executive Producer of The Radio Show, CBC Radio's amusing Saturday afternoon program, and then producer of CBC Toronto's afternoon radio local drive-home show hosted by Kathryn O'Hara. In 1998 he moved to CBC NewsWorld all-news television. Since 2000 he worked as an executive producer at CBC News on the web. Tom O'Neill, the son of "Windy" O'Neill the a former Toronto Maple hockey player, was a student at Ryerson while working as a CJRT operator. 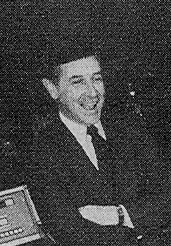 His ambition to become a producer led hm to take on a number of production chores at the station particularly interviews for use on Bud Riley's Sunday Journal. When he graduated from Ryerson Radio and TV Arts, he became a TV director at CITY TV in Toronto. His most notable TV series was "The Titans" in which the host, Patrick Watson, interviewed historical figures. The programme was a rebirth of Watson's earlier acclaimed series "Witness to Yesterday." Gerontology professor Greta Riddell Dixon led the way in producing Open College courses on health and aging. 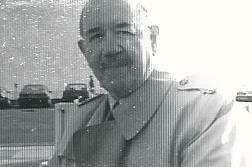 Peter Keigh (Peter Kufluk) was the son of Andy Kufluk CJRT's first engineer. Peter started with classical music format at CHUM but beginning in 1969 he was at CKFM in Toronto. In 1971, he began a 29- year run on CJRT-FM as the host of "Morningmusik." His morning show was the first in Toronto to convert to playing he music on CDs. He left CJRT in 2001 when the station switched to an all jazz format. Peter died on June 28, 2016. Dianne Forsyth volunteered to assist in the newsroom with interviews and news reports. Diane was an accomplished singer and performer who became the lead female voice with Star Scape Singers, a Toronto group that performed across North American and Europe in the late 1970s and 80s. Her picture at the right is from the cover of her 1982 album "Lady on the Landing." Her career began in earnest when she joined “Sunnyside,” a popular Toronto-based jazz trio and spent several years of performing in jazz clubs, concerts, and on TV and radio. Dianne's voice had a three octave range. Hugh's sister Anne Innis Dagg is a world famous zoologist/biologist and author and most famous as the leading expert on giraffes, the first person to study and write about the animals unique behavior. A TV documentary about her work described her as 'The Woman Who Loves Giraffes".